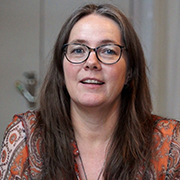 Susanne Johansson, the chairwoman of the CORE Organic Governing Board explains why Sweden has contributed considerable funds to CORE Organic Plus and how the heterogeneity among partners has become a creative driver. CORE Organic Plus is the continuation of the ERA-Nets CORE Organic I and CORE Organic II. Get an overview of the 11 CORE Organic Plus projects in the new folder. An ERA-net Cofund for Organic farming and food production is included in a 5 million Euros cofunding from the EC. CORE Organic will be granted the project if the thresholds are passed during the expert evaluation. 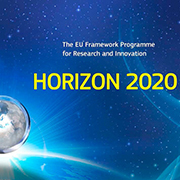 The General Directorate for Education and Research of the French Ministry of Agriculture has decided to make a priority of valorisation of project results. 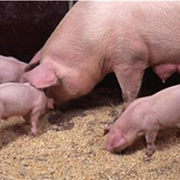 „Improving health and welfare of pigs“ is a new practical handbook for organic pig producers. The handbook summarizes the expertise of farmers, consultants, scientists and technical literature for maintaining the health of pigs. The results of the project HealthyHens have been summarised into recommendations within four essential areas: Prevention of intestinal worms, of feather and injurious pecking, of foot problems and keel bone deviations and, finally, optimisation of the use of outdoor areas. During the past three years, researchers in Norway, Denmark, Sweden, the UK, Switzerland and Latvia joined forces to make control measures against pest insects more efficient. Read the interview with Atle Wibe from NIBO (former Bioforsk), coordinator of "Softpest Multitrap". Researchers from 10 European countries developed a range of recommendations through the CORE Organic II project ICOPP on how to provide a balanced organic diet for healthy and productive animals. Supplying sufficient protein may especially pose a problem, and the recommendations include ideas on how to solve this. CORE Organic recently carried out a survey on how satisfied the call applicants and the funding bodies were with the CORE Organic Plus call. The results will help to improve future calls. Read about the results from the survey prepared by Elena Capolino, MIPAAF, Italy. Copyright © 2015 CORE Organic, All rights reserved.